Is your dog taking any of the following NSAIDS (Nonsteroidal anti-inflammatory drugs)? If your answer is yes, your veterinarian will likely recommend S-Adenosyl Methionine (SAM-e) to help maintain proper liver function. 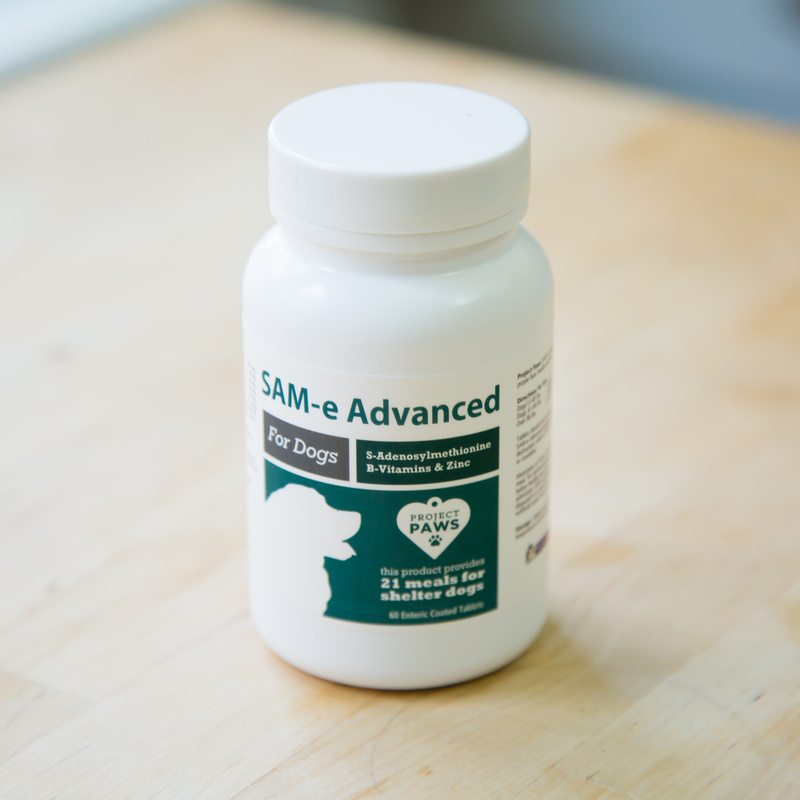 SAM-e protects the liver from damage caused by regular use of NSAIDS and supports cell regeneration and helps counteract canine cognitive dysfunction. In addition to liver support, studies have also shown it’s ability to help alleviate the symptoms of joint pain. This can be especially synergistic as many people are already giving their dog an NSAID for the purpose of treating joint pain & inflammation. VITAMINS: A supplement should also include amino acids, B Vitamins, B6 and Zinc. HIGH ABSORPTION RATE: Our special enteric coating allows the tablets to survive through the stomach and be properly absorbed in the small intestine. Project Paws SAM-e Advanced is recommended to help maintain proper liver health and brain function in dogs. Like all Project Paws products, its covered by the Project Paws Promise: if you’re not completely satisfied within 90 days, we’ll refund your purchase no matter how much you’ve used.